The already heated rivalry between the Chicago Cubs and St. Louis Cardinals got even more intense Friday after comments by Cubs third baseman Kris Bryant. "Who would want to play in St. Louis?" Bryan asked before adding, "So boring. It's so boring." While Bryant's scathing review of the Gateway City drew a positive response from the pro-Cubs crowd, it likely won't endear him to Cardinals fans. "All stars, elite players and leaders of their teams do not speak bad about any city. There should be respect and you should play and compete with respect... only stupid players and losers make comments like the ones made by bryant and dempster .. #ceroRespectforthisstupidplayers #QuevivaStlouis #LOVESTL." The Cubs have plenty of bragging rights over the Cardinals, as they have reached the playoffs in four straight seasons, have won two of the last three National League Central titles and won the 2016 World Series. The Cards haven't made the playoffs since 2015, when they fell to the Cubs in a National League Division Series. St. Louis now has even more incentive to close the gap on the Cubs given Bryant's comments. While the Cardinals may be out for revenge in 2019, Bryant will look to gain retribution as well after an injury-plagued 2018 campaign limited him to just 13 home runs and 52 RBI in 102 games. 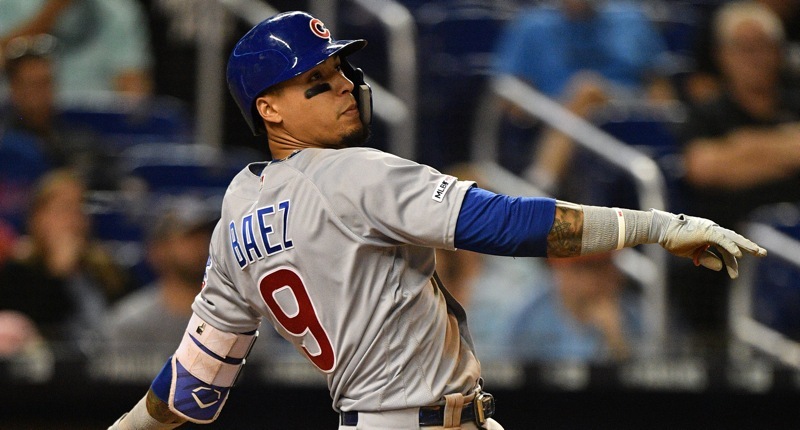 If the 2016 National League MVP can return to form next season, then the Cubs figure to be World Series threats once again despite playing in a stacked division that includes the Cardinals and defending NL Central champion Milwaukee Brewers.